My introduction to Mountainfilm started in the early 2000s. 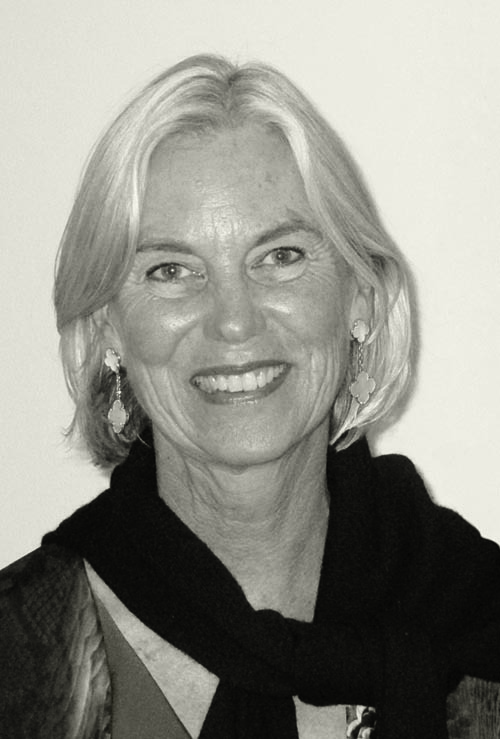 Immensely touched by many of the films and presentations that I had seen, I stopped then-Festival Director Arlene Burns on Colorado Avenue one snowy February day to ask how I could help. As it turned out, she was in desperate need of funding to pull off that year’s festival, so we went to work on planning an event in the Sheridan Opera House. We managed to raise enough money to get through that year’s festival, and soon after, I was invited to join the board. My tenure on the board came to an end, but my interest and enthusiasm for Mountainfilm endures. The 40th Anniversary book project came about from my initiative. There have always been vague rumors that Mountainfilm was started by a group of local climbers, but no one had examined that story with the goal of documenting the actual events and preserving it for posterity. It was a story that I wanted to tell, and the looming date of the 40th Anniversary set an appropriate marker. I had a loose vision of the historic narrative I could create — pinning down the story of the founders, illustrating the festivals with images and including interviews with guests and locals who have contributed to Mountainfilm over the years. Best of all, I decided to make this project a fundraiser. The biggest challenge was probably locating enough photos, especially from the early years. I was lucky to know Ingrid Lundahl, and I was resourceful enough to track down Bill Ellzey — both had captured amazing images of early festivals. Other photographers from long ago did not want to sift through their boxes of memorabilia, now packed away in garages or storage facilities. I worried about finding enough images, but somehow my designer and I managed to illustrate each festival. In some cases, we even used images from black-and-white contact sheets. Transferring these images into print resolution was a technical challenge with the advances that have transformed photography over the years. I contacted many guests and supporters for interviews. Some responded, others didn’t. It was sometimes discouraging, but I also received some unexpected gifts from people like Wade Davis — who wrote such a moving response to my interview questions that we used it for the introduction. Kate Lee’s interview is especially precious now, following her death in October 2017, as is the mention of the film Dirtbag and Fred Beckey. 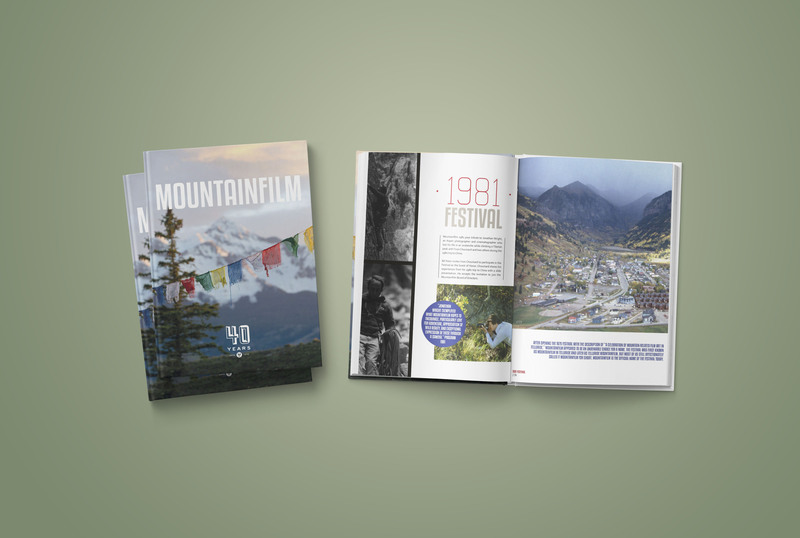 Mountainfilm: 40 Years is a limited edition retrospective book. More surprises were revealed during my research through old festival programs and press coverage: Mountainfilm, even in its infancy, had an incredible array of guests who made the trip all the way to Telluride to take part in our small festival. Big names in mountaineering and climbing like Reinhold Messner, Sir Edmund Hillary, Greg Lowe and David Breashears; famous explorers like Heinrich Harrer, Norman Vaughn and Martin Litton. I realized that my experience with Mountainfilm since the early 2000s only scratched the surface of an organization that already had deep roots in the world of climbing, mountaineering and exploration. This book was a big project for me, and the format was new territory. It was a project that I worried over until it was done. I wanted to be sure to bring my standard of excellence to this book because it was for Mountainfilm. I worked under self-imposed deadlines to have it printed early and delivered in plenty of time to be sold at the 2018 festival. Like all major projects worth doing, it was a collaborative effort with help from many people who are all acknowledged in the credits. I am very proud of the final compilation, and believe it is a historical record of Mountainfilm that every festival-attendee is going to want to own. It is a souvenir book, to be lovingly handled and enjoyed for its reminiscence of each festival. In my opinion, leaving a copy on your coffee table is the best way to explain the singular alchemy of Mountainfilm. Each book purchased will support Mountainfilm’s mission to use the power of film, art, and ideas to inspire audiences to create a better world.